November 2014 - Guardian Safety Solutions International, Inc. The popularity of turkey deep fryers has added another hazard to the celebration. The cooking oil temperature is extremely hot. Rouse said that they should be used as far from the house as possible. “It’s important to note that not one turkey fryer has been certified as safe by Underwriters Laboratories,” Rouse added. He offers tips for cooking safety. 1. Never leave a room while cooking. 2. If you must leave the room while cooking, turn off the stove. 3. Keep pot handles turned to the back of the stove so children cannot grab them. 4. 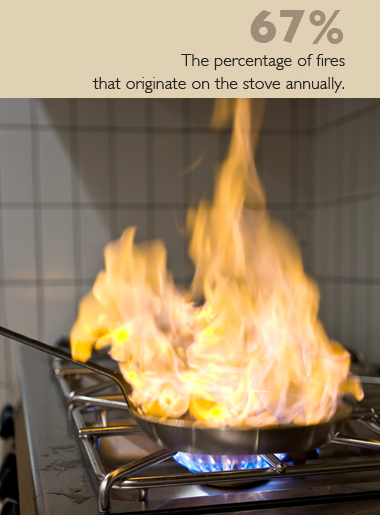 Wear short sleeves or tight sleeves while cooking so nothing dangles near a flame. 5. Keep paper, towels, pot holders, wooden utensils and curtains away from the cooking area. 6. Have one or more fire extinguishers handy and know how to use them. 7. Keep stove tops clean; remove built up grease and spilled food. 8. Never throw water on a grease fire – smother it with a pan lid instead. 9. Keep children and pets in the “kid-free” zone three feet from the stove. 10. Have a fire escape plan, and review and rehearse it often. The Guardian is designed to detect and extinguish cooking fires and at the same time prevents re-ignition. Once it detects heat at a pre-determined temperature, a signal is sent to release the extinguishing agent to suppress the fire and to shut off the gas or electric supply to the stove in order to prevent reigniting. “Whether it is a single home or an apartment at risk, putting the fire out quickly is imperative to minimize damage and injury,” Rouse said. Dallas – November 5, 2014 – Guardian Safety Solutions International, Inc. (GSSI), the leader in the development and manufacturing of residential range top fire protection systems, will exhibit at the Campus Fire Forum 2014, November 10 – 13, at the Wyndham Hotel, Orlando. Representing more than 4,000 campuses, the Center for Campus Fire Safety is a nonprofit organization devoted to reducing the loss of life from fire at our nation’s campuses. 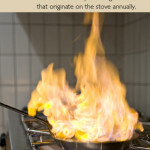 “Cooking fires cause more than $25 million in damages to college campuses each year. Campus fire safety is one of our top priorities, so we are delighted to demonstrate our ‘Guardian Solution’ range top suppression system that protects against a range top fire before it causes property damage or injuries to employees and students,” said Paul Rouse, Guardian SSI’s administrative officer. 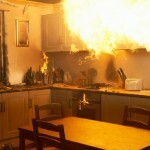 “While parents send their kids off to college with safety as a top priority, fear of kitchen fires ranks well below safety concerns about drugs, alcohol, crime and other campus issues.” According to Rouse, college fires should move up to the top of parents’ and university housing concerns since 72 percent of college campus fires are cooking related. “With many students living in off campus apartments, parents and university officials should know that 60 percent of apartment fires are started by cooking equipment,” said Rouse. “There are so many distractions for young adults in today’s busy world – texting, answering an email, friends come to visit – they begin to cook a meal and easily forget about it. Next thing you know, whoosh, a fire starts consuming the stove, curtains and other flammable material in the kitchen,” he said. 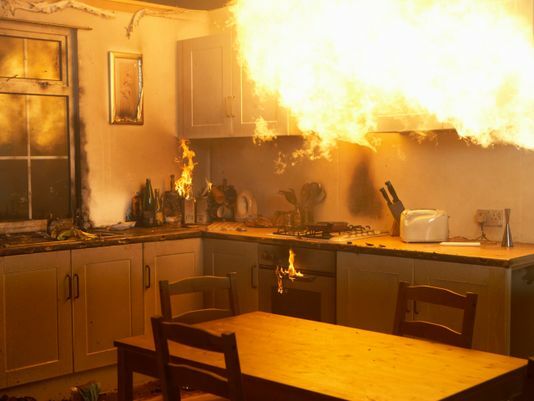 The National Fire Protection Association says that cooking causes almost half of all fire fatalities each year, and 20 percent of fire deaths are drug or alcohol related. “These statistics are the core of our “Guardian Solution,’ or range top suppression system which can be easily installed or retrofitted into new or older student housing,” said Rouse. “The time to protect college students against a range top fire is before it strikes. By simply installing the Guardian, colleges and universities, as well as apartment owners who cater to college kids, can rest at ease knowing that potential cooking fires stand no chance in a Guardian protected kitchen.” See how the Guardian works here. The Guardian is designed to detect and extinguish cooking fires and at the same time prevents re-ignition. Once it detects heat at a pre-determined temperature, a signal is sent to release the extinguishing agent to suppress the fire and to shut off the gas or electric supply to the stove in order to prevent reigniting. “Putting the fire out quickly is imperative to minimize damage and injury to students,” Rouse said. “The Guardian system provides that speed and protection.” For more information, contact GSSI at 800-786-2178 or visit www.guardianssi.com. Visit on Facebook at www.facebook.com/GuardianSSI and on Twitter @GuardianSSI. Protecting families worldwide since 1985, GSSI is the recognized leader in the development and manufacturing of residential range top fire protection systems. GSSI’s mission is to develop and distribute quality safety products that provide customers with peace of mind, while protecting lives and property. See ICC-ES Listing No PMG-1166 at www.icc-es.org\pmg.